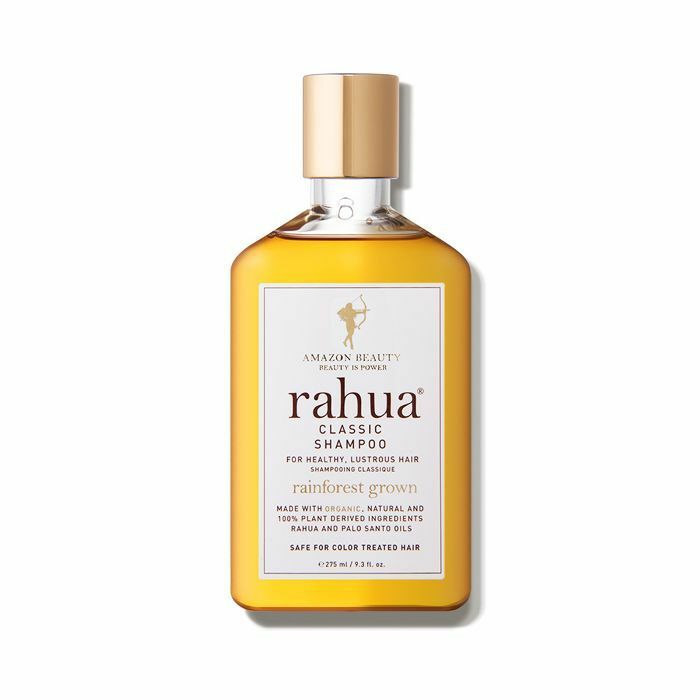 Maintaining healthy, strong hair is tough—especially when you don't know where to start. There are a ton of overlooked hairstyling behaviors that are actually doing your ends a major disservice. It's probably the reason you can't grow out your hair like you used to or the culprit for your never-ending tangles. We all suffer from split ends, no matter our hair texture, but there are a few things you can do to help. In order to find out the best practices, including ways to cut your hair, products to use, accessories to stay away from, and how to use hot tools in a safe way, we reached out to a few hairstylists who know exactly what works (and what hurts). Below, find their thoughts on how to prevent split ends. "Get a haircut with hot scissors, which utilize high heat to seal your hair cuticle and cure split ends without sacrificing the length," recommends Arsen Gurgov, the founder of Arsen Gurgov Salon in New York City. "Hot scissors offer a foolproof way to help get rid of split ends permanently, without having to cut your hair short. 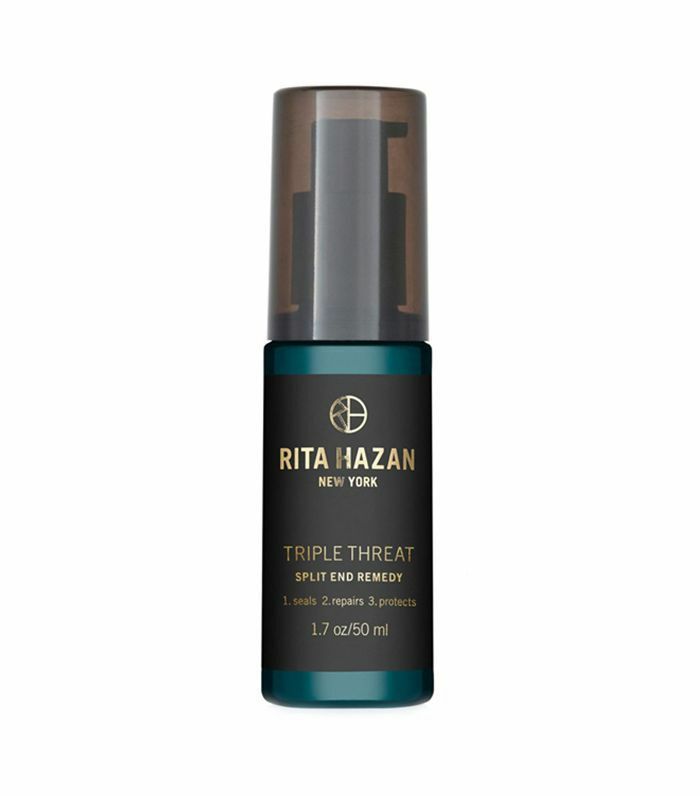 Without the heat, the cuticle stays open, whereas hot scissors (with temperatures up to 310º) seal the end of the hair shaft, reducing the damage and allowing the hair to retain moisture better. "The longer your hair, the more prone it is to split ends," says Gurgov. "It's important to keep up with your regular trims. Book an appointment with your hairstylist every six to eight weeks regardless of your hairs length to keep your ends as healthy as possible." 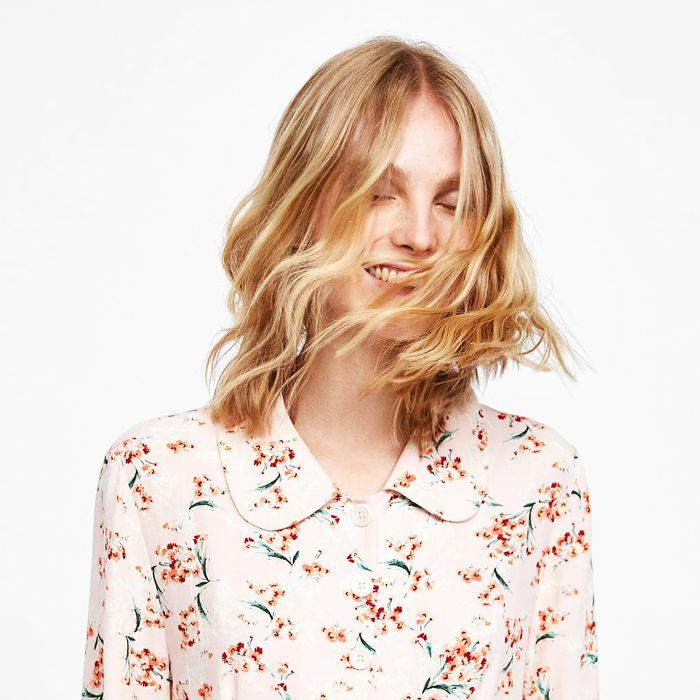 Dhiran Mistry, a master stylist at Spoke & Weal, agrees, adding that the longer you wait to trim your hair, the farther up the hair shaft your ends will split, ultimately making your hair shorter than you started with instead of growing longer. "The daily wear and tear on your hair can cause split ends," notes Gurgov. 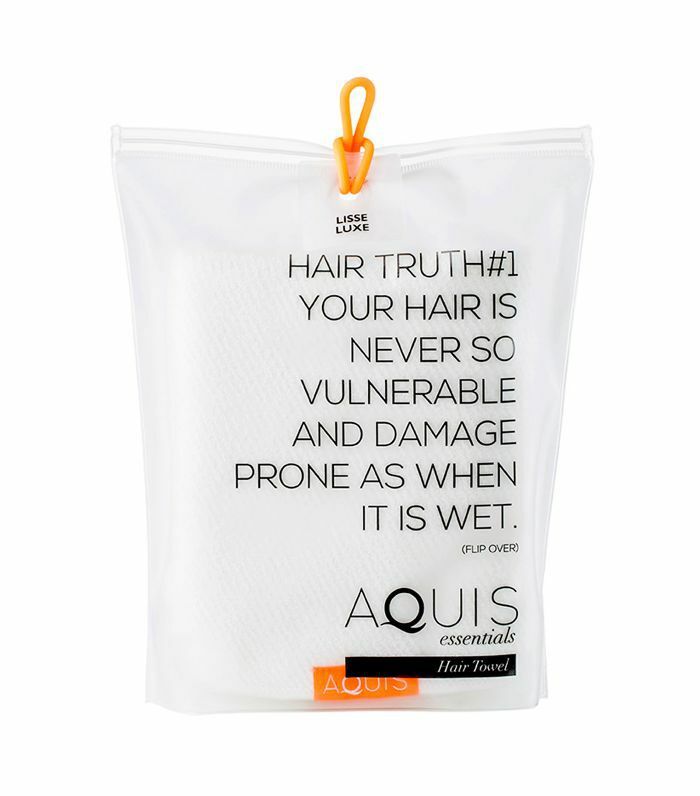 "Try not to over-shampoo your hair—when your hair is wet, it is in its most fragile state. A good tip is to pull your hair back into a ponytail and use the same amount of shampoo as the diameter of your ponytail. 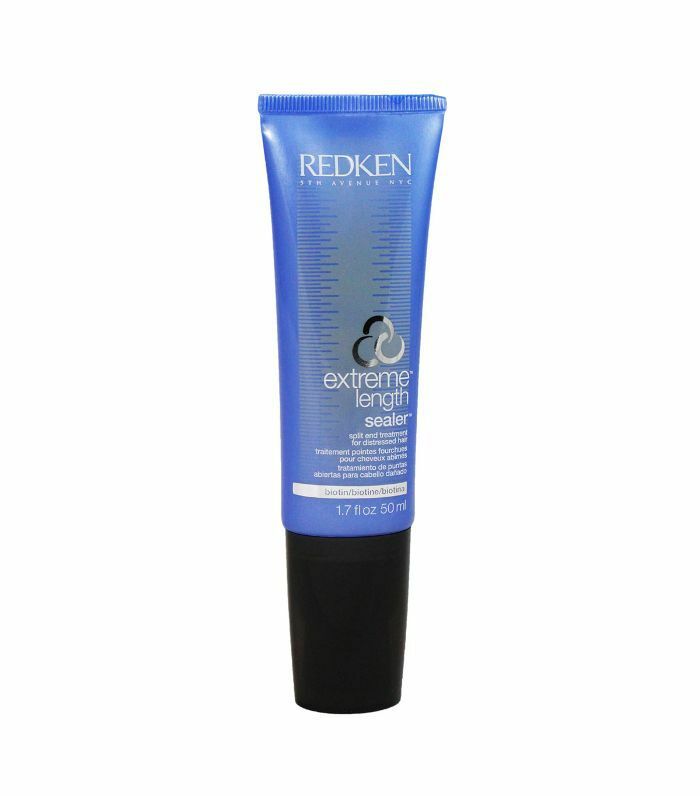 Your hair should not be washed more than once or twice a week, and when you do, concentrate the shampoo on your scalp." "When showering," suggests Gurgov, "try to use lukewarm water or the coldest water you can stand. Hot water is damaging to your hair since the cuticle swells, making it more prone to splits. Rinse your hair with cold water to close the cuticle, sealing your hair's outer layer, and preventing split ends." "Look for hair products containing argan oil," says Gurgov. 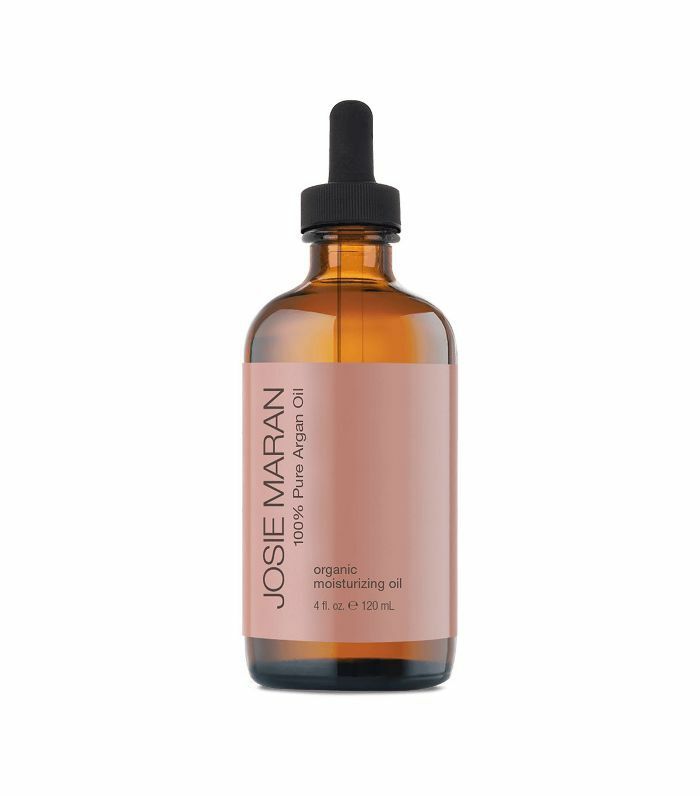 "Whether it's a deep conditioner you apply to wet hair or a shine serum for post-styling, argan oil offers weightless hydration. 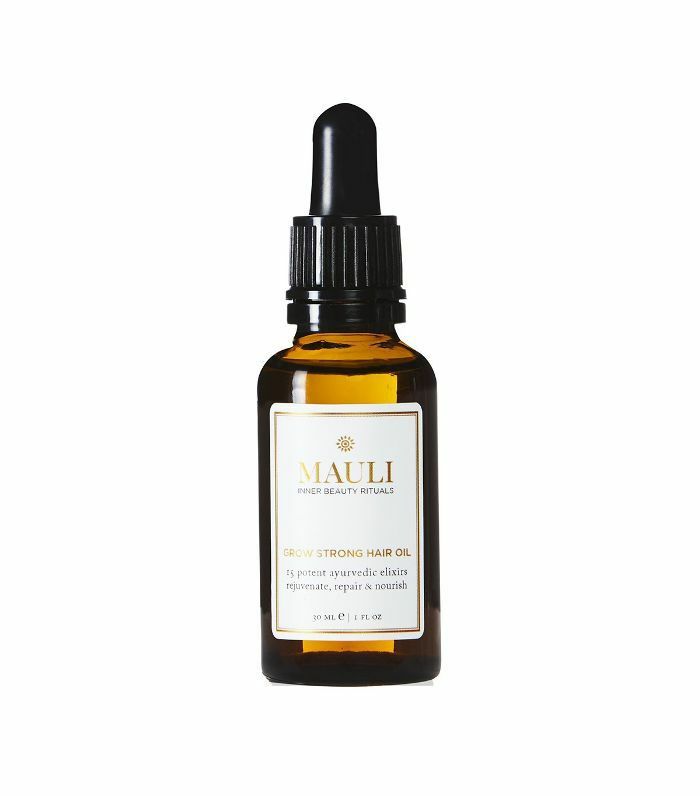 Unlike in other oils like coconut or olive, the oil molecules found in argan oil are small enough to penetrate the hair shaft. 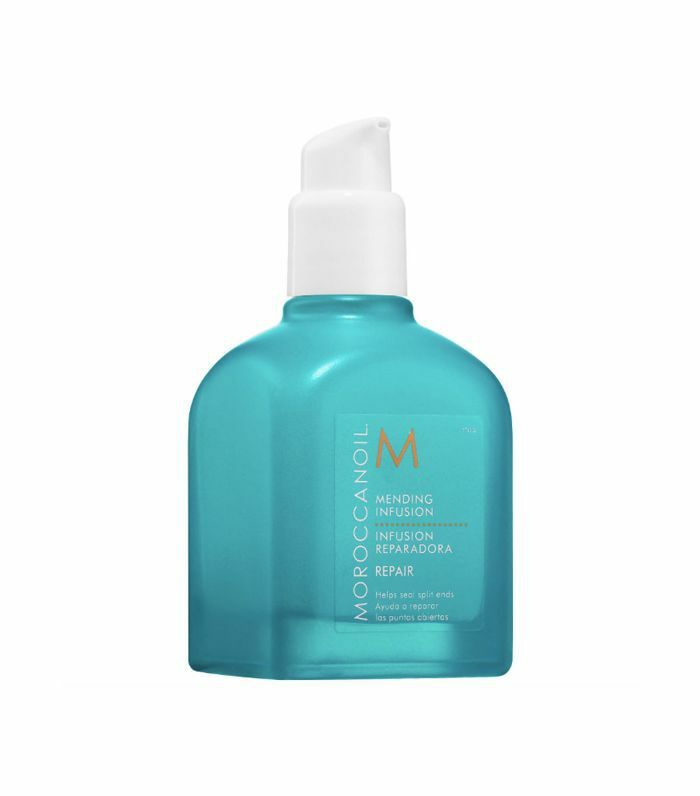 This makes it deeply moisturizing instantly, which helps treat and camouflage split ends." "After showering, simply wrap your hair in a gentle, microfiber towel and let the towel absorb the excess moisture," suggests Gurgov. "You can pat your hair with the towel if you need to, gently. Try not to brush your hair, especially when it's wet. If you must, use a wide-tooth comb to detangle your hair along with a spray-in conditioner. A wide-tooth comb is gentler on delicate strands than a brush." 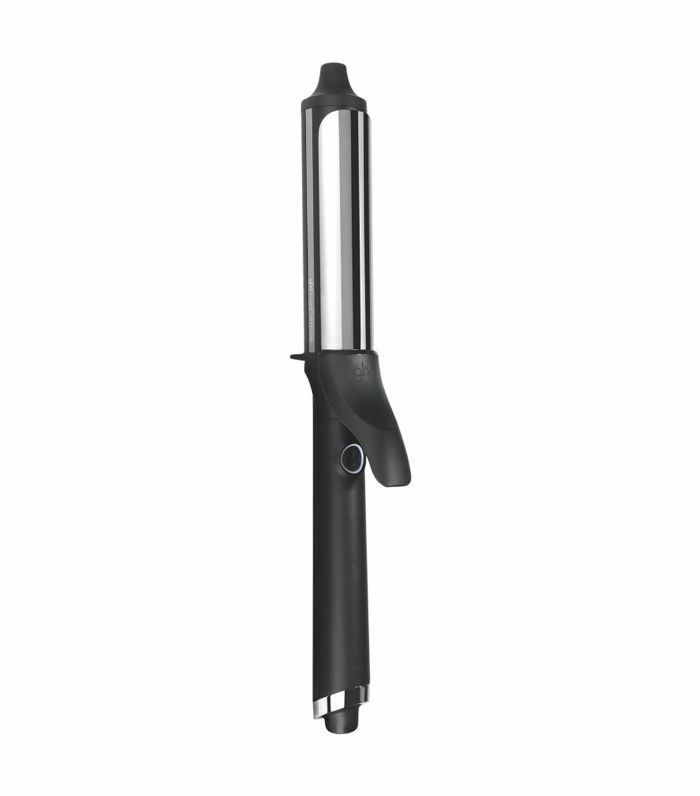 "When using a blow-dryer," explains Gurgov, "concentrate the dryer on the roots and upper lengths of your hair. Avoid the ends. Also, don't blow-dry your hair so it is completely dry. Instead, try to leave it a little damp and let the rest air-dry. 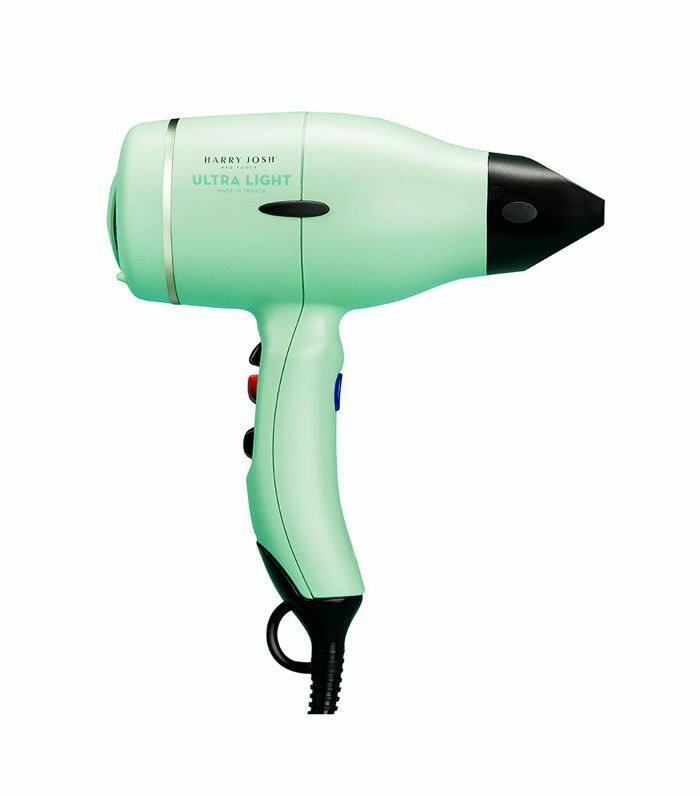 This will maintain the health of your hair and limit split ends from the drying heat of the blow-dryer." "Overheating your hair with styling tools causes damaged areas and split ends," says Gurgov. "Try to use the low or medium setting when possible and limit the use of hot tools on the vulnerable parts of your hair (like ends)." "Use hair accessories that don't contain metal," says Gurgov. "The metal pieces can snag and break your hair, causing split ends, broken pieces, and uneven strands." Mistry adds: "Tying your hair up while it's wet stretches the elasticity of the hair and causes breakage." 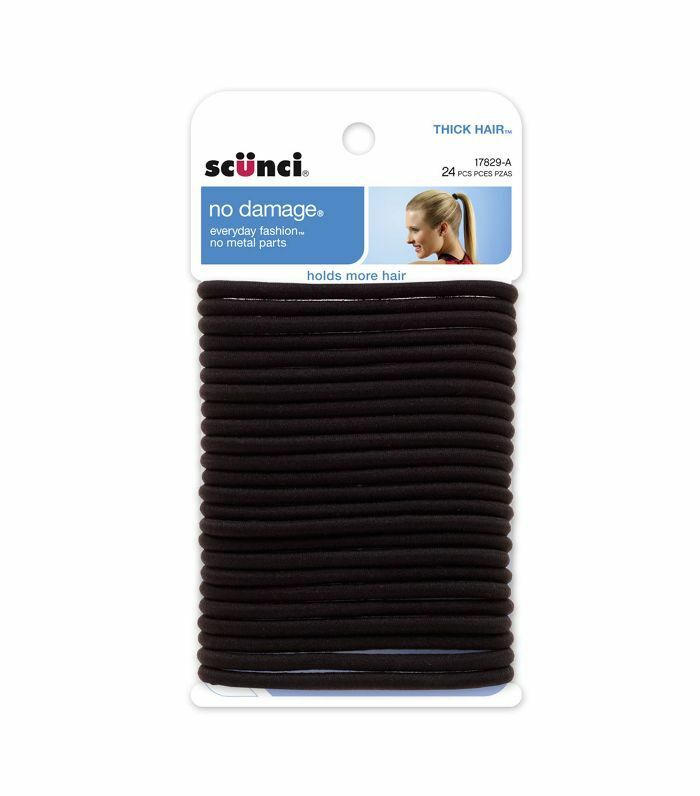 So make sure when you wear your hair up that you're using a hair tie without metal and that your hair is completely dry. 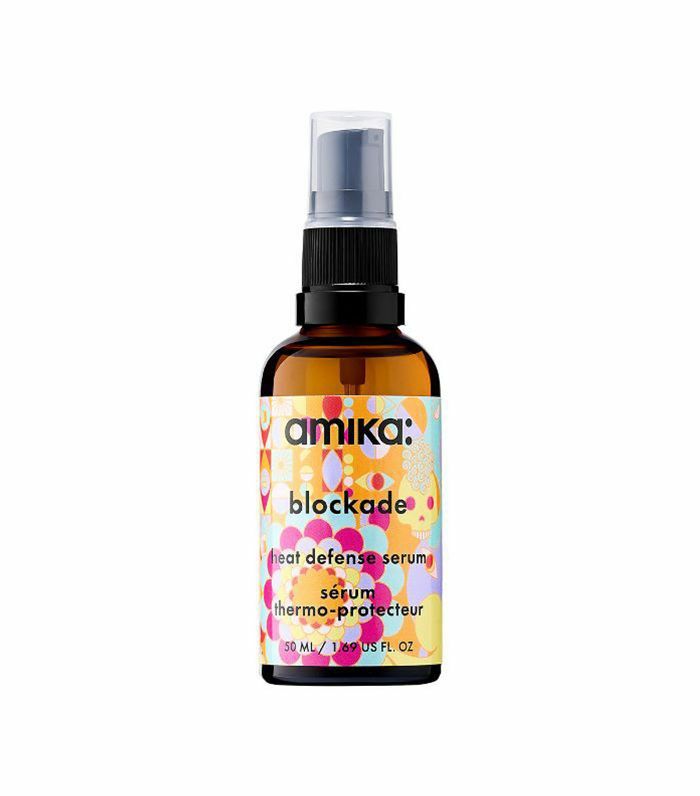 FYI: Here's how to nix split ends for good.